Move over Untitled Avengers Movie there’s a new film for rabid Marvel fanboys (like me) to get excited over, Captain Marvel. Yes, the second Marvel-ous trailer for Captain Marvel has just dropped online, and while it may not be the trailer everyone wanted, it still looks bloody brilliant. Set in 1995 Captain Marvel stars Brie Larson as Carol Danvers, an ex-US Air Force fighter pilot whose DNA becomes fused with the DNA of a Kree (the blue fellas from Guardians of the Galaxy) during an accident. Like so many superheroes before her, this accident doesn’t cause crippling injuries instead it imbues her with incredible powers like superhuman strength, energy projection, and flight. To help save the galaxy, and to learn how to control her amazing powers, Carol sets off into space to join the Starjammers – an elite Kree military team. When Earth becomes the centre of an intergalactic war between two alien species (presumably one is the shapeshifting Skrulls) Carol’s forced to return to her home planet, where she must confront the mystery of who she really is. Ben Mendelsohn, Lashana Lynch, Gemma Chan, Annette Bening, and Jude Law are all joining the MCU as part of the Captain Marvel cast, but they’ll be a few familiar faces returning. Samuel L. Jackson will return as Nick Fury (who’s got two eyes), as well as Clark Gregg as a younger but no less charming Phil Coulson. Djimon Hounsou and Lee Pace are also back as Korath the Pursuer and Ronan the Accuser, respectively. Marvel Studios president and chief architect of the MCU, Kevin Feige, has gone on record to say this film is the moment which helps define Nick Fury as the badass we know him as. [Fury] has reached a point in his career where he thought the Cold War is over and the best days are behind him. And when he encounters certain things in this movie, it sets him on a path that leads us to where we are 19 films later. 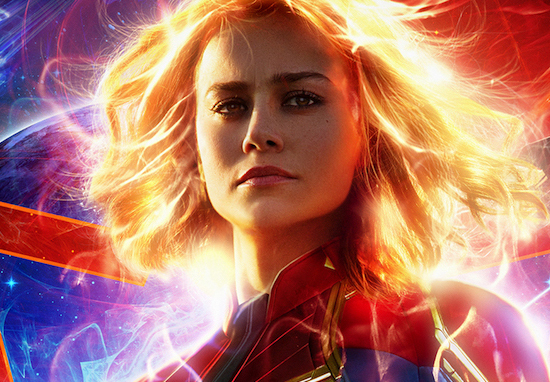 Feige and Marvel have also been very open about how powerful Captain Marvel is, describing her as the strongest superhero we’ve seen in the MCU so far and the challenges it’s presented to screenwriters. In an interview with IGN he said the writers were interested in discovering her limitations and vulnerabilities and making that part of the story’s crux. However, he’s also one of the coolest things about the character is the fact ‘she will be by far the most powerful character we’ve ever introduced’ and be ‘very important’ to the evolving story of the MCU. Sounds like Captain Marvel will come in handy if, for example, The Avengers needed to tackle a nigh-omnipotent titan with a fancy glove and a predilection for genocide. Captain Marvel soars into theatres on March 8 next year, while Untitled Avengers Movie will hit theatres a month later on April 26.